STORE, ORGANIZE, SHOWCASE, & SHARE all of your photos, videos, bios, media coverage, testimonials and more in one place on line. KNOW EXACTLY WHAT TO INCLUDE IN YOUR MEDIA KIT with simple, easy-to-use checklists and video tutorials that take you by the hand, step-by-step to get you up and running in no time. POST YOUR PROFILE with a link to your IMK to help the media and meeting planners find you and book you. 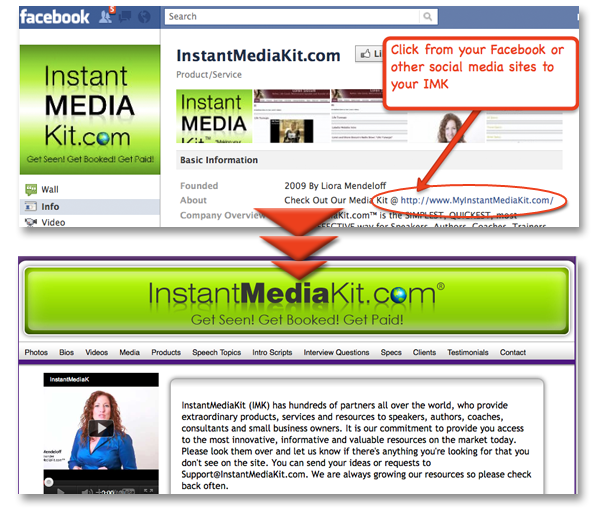 LINK DIRECTLY from your own website OR use InstantMediaKit® as a STAND-ALONE website. RECEIVE YOUR OWN UNIQUE URL (i.e. 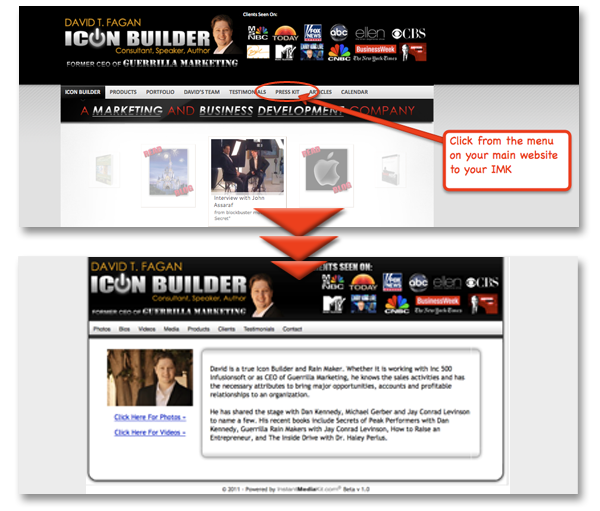 YourName.InstantMediaKit.com) OR choose to MASK YOUR URL to a domain of your choice (i.e. YourName.com). MAINTAIN YOUR BRAND by using your existing website (or customized) banner and color-scheme into your Instant Media Kit. 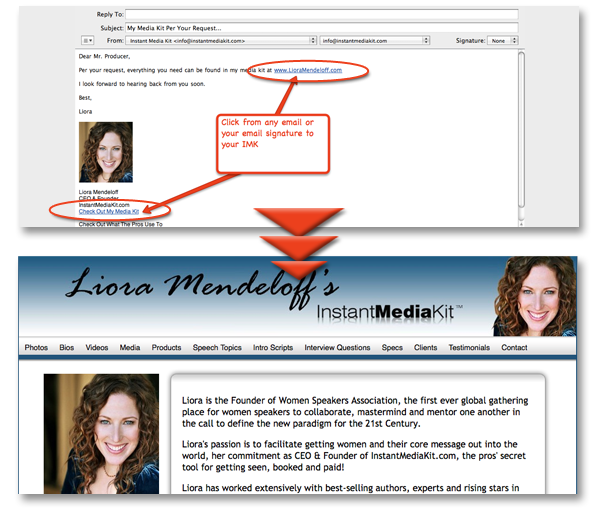 LOOK PROFESSIONAL AND CREDIBLE with no third-party ads on your InstantMediaKit®. 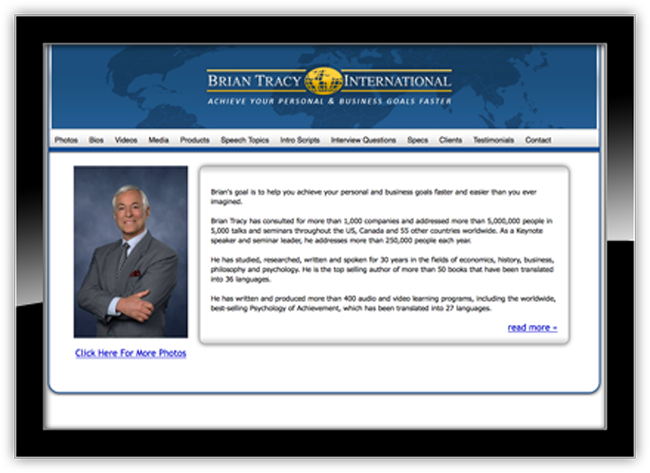 SHOWCASE YOUR ONLINE CONTENT EXCLUSIVELY on this non-searchable site, which means guests can’t access anyone else’s InstantMediaKit® when they’re on yours. DRIVE TRAFFIC TO YOUR InstantMediaKit® with SEO and other strategies to get greater visibility and up your chances of getting booked. DON’T WANT TO BUILD IT YOURSELF? WE’LL BUILD IT FOR YOU! Once you sign up, if you don’t have the time or inclination to do it yourself, we’ve got a solution for you! For a nominal fee, you will be assigned your very own IMK Expert who will do everything for you from uploading your content, to writing copy, creating your banner, optimizing your IMK for maximum seach engine ranking and more!